For years, neurons in the brain were assumed to all carry the same genome, with differences in cell type stemming from epigenetic, transcriptional, and posttranscriptional differences in how that genome was expressed. But in the past decade, researchers have recognized an incredible amount of genomic diversity, in addition to other types of cellular variation that can affect function. Indeed, the human brain contains approximately 100 billion neurons, and we now know that there may be almost as many unique cell types. Our interest in this incredible diversity emerged from experiments that we initially labeled as failures. In 1995, we (F.H.G. and colleagues) found that a protein called fibroblast growth factor 2 (FGF2) is important for maintaining adult neural progenitor cells (NPCs) in a proliferative state in vitro. We could only expand NPCs by culturing them at high density, however, so we could not generate homogeneous populations of cells.1 Five years later, we identified a glycosylated form of the protein cystatin C (CCg) that, combined with FGF2, allowed us to isolate and propagate a very homogeneous population of NPCs—cells that would uniformly and exclusively differentiate into neurons.2 We compared gene expression of this homogeneous population of cells to that of rat stem cells and the oligodendrocytes, astroglia, and neurons derived from the NPCs. To our surprise and disappointment, the top nine transcripts that were unique to the NPC-derived population were all expressed components of long interspersed nuclear element-1, also known as LINE-1 or L1— an abundant retrotransposon that makes up about 20 percent of mammalian genomes. The human brain contains approximately 100 billion neurons, and we now know that there may be almost as many unique cell types. Most mammalian L1s have lost the ability to jump around the genome. However, the average human genome is estimated to contain 80–100 retrotransposition-competent L1s (RC-L1s), and about 10 percent of these elements are classified as highly active, or “hot.” The mouse genome contains even more—at least 3,000 RC-L1s. In 2005, we provided evidence that L1s can jump around in adult rat NPCs in vitro and in the brains of transgenic mice.3 Retrotransposition events were also detectable in non-neurogenic areas of the adult mouse brain, which, given that retrotransposons should only be able to jump within dividing cells, indicated that the events had occurred during neuronal development. These surprising findings initiated more than a decade of research by us (and now many others) demonstrating that neuronal genomes are quite dynamic, with retrotransposon-based plasticity driving genomic diversity within a single individual—what’s known as somatic mosaicism. Today we know that de novo L1 retrotransposition events are just one mechanism driving this mosaicism in neurons, along with recombination, aneuploidy, copy number variants, and other structural changes to the genome. Layered on top of this genetic diversity are epigenetic and transcriptional variations, as well as posttranscriptional and posttranslational modifications that can set apart different subsets of cells. Recent technological advances have enabled a highly resolved characterization of the extent of cellular diversity in the brain, showing that there is far more heterogeneity within a given cell type than previously appreciated. Research has also begun to examine how somatic mosaicism might drive functional differences in individual neurons. Such neuronal diversity may help explain the origin of personality in humans and interindividual behavioral variations in other animals. Anecdotally, siblings, even monozygotic twins, often have remarkably different personalities even at young ages, despite sharing genes and environments. Diversification of neurons arising from somatic gene mutations or subtle molecular and environmental differences may help explain the origin of cognitive and behavioral individuality. 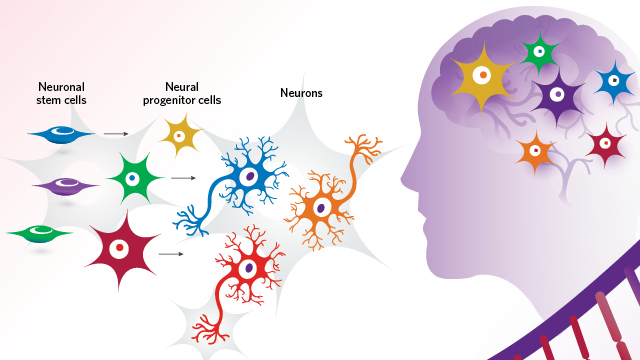 The findings thus far highlight the importance of moving away from a blanket definition of “cell types” that are assumed to behave in a stereotyped manner toward a more nuanced view of neurons that includes the multidimensional combination of transcriptome, epigenome, and genome when attempting to understand the impact of a given cell state. The cell is arguably the minimal functional unit of an organism, yet to this day we can define only a small proportion of the total possible mammalian cell types. Even if we were to restrict our search to one species, to one organ, or to even one subregion of an organ, the set of functionally distinct cell states that exists is likely far beyond what is measurable. This is stunning, given that it has been more than a century since the Golgi stain enabled Santiago Ramón y Cajal to visualize individual neurons and to provide the first description of neuronal subtypes that led to the early models of neural connectivity and, subsequently, to the prevailing doctrine that the neuron is the standard functional unit of the nervous system. Since that time, genetic studies, electrophysiology recordings, and anatomic analyses have all greatly expanded the pool of known neuronal cell types. Early morphological, functional, transgenic, and staining approaches relied on identifying cell type–specific surface markers that are often rare and, in many cases, novel. 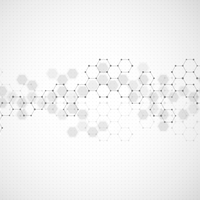 Recently, there has been a shift in methodology to high-throughput approaches that are enabled by a timely combination of three distinct disciplines. The first is the advent of high-throughput molecular techniques that allow researchers to capture and prepare thousands of cells for individual RNA, DNA, and epigenetic analyses. The second advance results from the falling cost of sequencing, which makes it monetarily feasible to convert all of those single-cell preparations into information that is computer-readable. Finally, advances in data science and machine learning enable these large data sets to be distilled down to meaningful biological information. With such an approach, researchers can now focus their attention on new questions, such as how heterogeneity at the cellular level might translate into individual behavioral differences. Sure enough, the recent surge in identifying cell types has inspired projects such as those of the Allen Institute for Brain Science and the Chan-Zuckerberg Initiative to catalog every cell type within the human brain and body, respectively. Just as the Human Genome Project provided the world with a reference map that has been at the core of nearly every subsequent human genetics experiment, a reference map of cell types has a similar potential to buoy future scientific progress by defining a high-resolution standard with which to compare individual cell variation. For example, complex-disease studies can use such a reference to bridge the gap between the identification of disease-associated genes and the functional consequences of those genes. 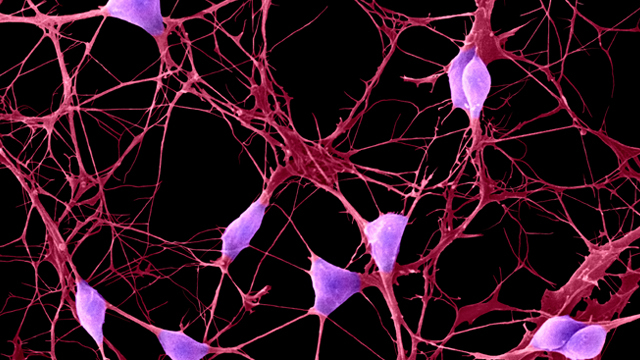 By combining the results from single-cell profiling with disease-associated gene lists, researchers have been able to classify cell types as “highly vulnerable” for a given disorder.4 Earlier this year, for instance, Nathan Skene of the Karolinska Institute and colleagues demonstrated that cell types such as CA1 pyramidal neurons, striatal medium spiny neurons, and cortical interneurons are particularly enriched for genes associated with schizophrenia.5 Further clarification of cell-type diversity and the drivers of individualized differences in cell states will undoubtedly lead to a greater understanding of what underlies variation in neural circuits across individuals. DISCOVERING DIVERSITY: Of the 100 billion or so neurons in the human brain, there may be no two that are alike. Recent advances in single-cell omics and other techniques are revealing variation at genomic, epigenomic, transcriptomic, and posttranscriptomic levels. Such diversity can arise at all stages of development and into adulthood. In the case of genetic changes that are passed on to daughter cells, the stage at which mutations occur will dictate their frequency in the brain. Researchers are now working hard to catalog every cell type within the human brain, and understand how differences among them may underlie variation in neuronal function. There are early hints that this mosaicism may contribute to personality and behavioral differences among individuals, as well as to various neurological or psychiatric disorders. As researchers continue to identify more and more neuronal subtypes, a major question is what generates and maintains this diversity. One answer to this has turned out to be genetics. While it was traditionally believed that every cell in the body contained identical genetic material, recent evidence has revealed that individual neurons actually differ significantly due to somatic DNA mutations and rearrangements, including those caused by the movement of L1 and other retrotransposons. Somatic mutations can occur both during development and in adulthood. Early progenitor cells that accumulate somatic mutations may give rise to many progeny, which also carry the same mutation, whereas a later progenitor, like an NPC in a neurogenic niche of the adult brain, may only give rise to a few progeny, limiting the spread of that particular mutation. This process could represent a lifelong flexibility of the brain, potentially making it more adaptable to changing demands. SOMATIC MOSAICISM: Although it was once assumed that all cells within an organism shared an identical genome, researchers now know this not to be true. Genetic variation can arise at any time, and these changes will be passed down to future generations of cells. Thus, mutations that occur early in development will lead to larger cell populations that carry the change, whereas mutations that occur in terminal cell lineages will be contained in relatively few cells. The types of mutations that occur in the brain are diverse—including aneuploidy, single nucleotide polymorphisms (SNPs), copy number variants (CNVs), and mobile element insertions—and vary by cell type. For example, human cortical cells contain megabase-scale CNVs,12 while NPCs contain hot spots for DNA translocations.13,14 Depending on the specific location and nature of a somatic mutation, it could have substantial effects on cell function by altering gene expression or generating novel protein content—for example, by introducing a new promoter or splice site. Particularly interesting somatic mutations are those arising from mobile element insertions, such as L1 and Alu retrotransposons, which exist at more than 500,000 and 1 million copies in the human genome, respectively. L1 retrotransposons are unique in that they encode all of the protein machinery necessary for their own replication and mobilization. When expressed, L1 mRNA forms a ribonucleoprotein complex that moves into the nucleus, where it uses its own endonuclease to nick the genome, making room to reverse transcribe its mRNA into DNA and insert it into a new genomic location. Although still open to debate, this process appears to occur an average of once for every two cells of the human brain, creating the potential for tremendous genomic diversity through this mechanism alone. And given the length of many genes involved in neuronal function, such as synaptic density proteins and cadherins, such insertions are likely to occur in neuronal genes. Intriguingly, unlike random DNA damage events, L1-linked mutations are driven by a protein that has been coevolving with the human genome for millions of years. If it is found that the impact of L1 insertions can modify downstream neuronal function, this could hint at an advantageous role for these mobile elements, which were once considered parasites. 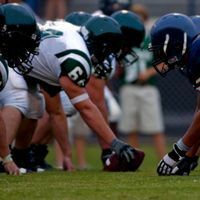 Although researchers have explored this role of L1 in the setting of cancer for many decades, it has only recently been considered in the context of normal human variability. On the other hand, L1-induced mutations are also just now being probed for their possible contribution to neurological disease. A number of other mechanisms, including chromatin structure or DNA methylation, further modulate cellular diversity, reversibly altering gene expression on a cell-by-cell basis. Closed chromatin may also protect the DNA from acquiring certain permanent mutations, such as mobile element insertions, by restricting accessibility. These and other epigenetic modifications can also dictate allelic expression, potentially leading some cells to express genes from one parent’s allele whereas other cells use the opposite allele. Parental expression bias may change across different brain regions and ages, further adding to the brain’s cellular diversity. Additional variation among cells can also emerge posttranscriptionally, such as via alternative splicing of transcripts, which can increase the repertoire of unique proteins available in a cell. And other types of RNA editing by specialized editing enzymes can cause nucleotide substitutions, frameshifts, or structural changes that alter the protein product. Posttranslational modifications that can affect those proteins’ stability and localization further distinguish one neuronal subtype from the next. 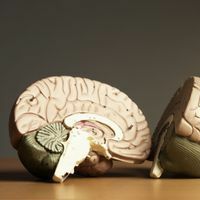 The genetic, molecular, and morphological diversity of the brain leads to a functional diversification that is likely necessary for the higher-order cognitive processes that are unique to humans. Cell-to-cell differences tied to experience, such as genetic variants or variation in the local microenvironment of the cell, can be amplified by cascading molecular responses that ultimately influence functional properties. 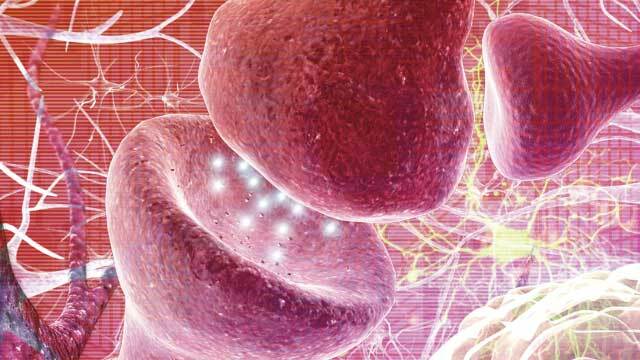 For example, electrical stimulation received by a neuron will induce molecular changes at the synapse that affect its own tendency to fire an action potential, and molecular feedback at the synapse will affect the amount of neurotransmitter released when it communicates with another cell. 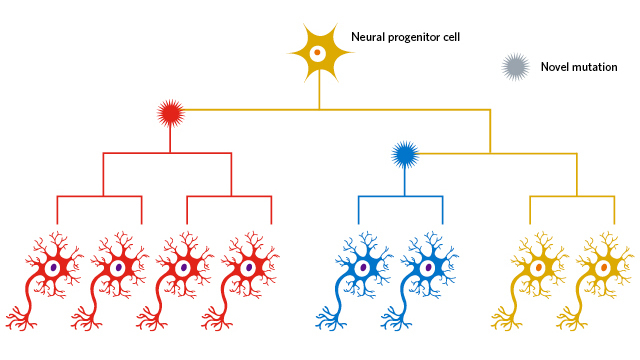 These differences constitute a portion of the diversity that exists among individual neurons of the same cellular subtype and help explain how so many functional differences exist among individual cells in the brain. Traditionally, cells are defined by the tissue to which they belong as well as their particular functional role or morphology. This classification represents a developmental trajectory that begins early in embryogenesis and is hardwired into each cell. But other differences among cells are more subtle. Multi-dimensional analyses of gene expression and other metrics have revealed remarkable heterogeneity among cells of the same traditional “type.” Cells exist in different degrees of maturation, activation, plasticity, and morphology. Once we begin to consider all of the subtle cell-to-cell variations, it becomes clear that the number of cell types is much greater than ever imagined. In fact, it may be more appropriate to place some cells along a continuum rather than into categories at all. Brain cells in particular may be as unique as the people to which they belong. This genetic, molecular, and morphological diversity of the brain leads to functional variation that is likely necessary for the higher-order cognitive processes that are unique to humans. Such mosaicism may have a dark side, however. Although neuronal diversification is normal, it is possible that there is an optimal extent of diversity for brain function and that anything outside those bounds—too low or too high—may be pathological. For example, if neurons fail to function optimally in their particular role or environment, deficits could arise. Similarly, if neurons diversify and become too specialized to a given role, they may lose the plasticity required to change and function normally within a larger circuit. As researchers continue to probe the enormous complexity of the brain at the single-cell level, they will likely begin to uncover the answers to these questions—as well as those we haven’t even thought to ask yet. Sara B. Linker and Tracy A. Bedrosian are postdoctoral research fellows in the Laboratory of Genetics at the Salk Institute for Biological Studies, where Fred H. Gage is a professor and Vi and John Adler Chair for Research on Age-Related Neurodegenerative Disease. T.D. Palmer et al., “FGF-2-responsive neuronal progenitors reside in proliferative and quiescent regions of the adult rodent brain,” Mol Cell Neurosci, 6:474-86, 1995. P. Taupin et al., “FGF-2-responsive neural stem cell proliferation requires CCg, a novel autocrine/paracrine cofactor,” Neuron, 28:385-97, 2000. A.R. Muotri et al., “Somatic mosaicism in neuronal precursor cells mediated by L1 retrotransposition,” Nature, 435:903-10, 2005. N.G. Skene, S.G.N. Grant, “Identification of vulnerable cell types in major brain disorders using single cell transcriptomes and expression weighted cell type enrichment,” Front Neurosci, doi:10.3389/fnins.2016.00016, 2016. N.G. Skene et al., “Genetic identification of brain cell types underlying schizophrenia,” bioRxiv, doi:10.1101/145466, 2017. B. Tasic et al., “Adult mouse cortical cell taxonomy revealed by single cell transcriptomics,” Nat Neurosci, 19:335-46, 2016. C. Luo et al., “Single-cell methylomes identify neuronal subtypes and regulatory elements in mammalian cortex,” Science, 357:600-04, 2017. A. Zeisel et al., “Cell types in the mouse cortex and hippocampus revealed by single-cell RNA-seq,” Science, 347:1138-42, 2015. N. Habib et al., “Div-Seq: Single-nucleus RNA-Seq reveals dynamics of rare adult newborn neurons,” Science, 353:925-28, 2016. G. Milior et al., “Electrophysiological properties of CA1 pyramidal neurons along the longitudinal axis of the mouse hippocampus,” Sci Rep, 6:38242, 2016. M.R. Hunsaker et al., “Dissociating the roles of dorsal and ventral CA1 for the temporal processing of spatial locations, visual objects, and odors,” Behav Neurosci, 122:643-50, 2008. 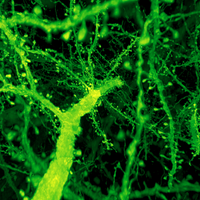 M.J. McConnell et al., “Mosaic copy number variation in human neurons,” Science, 342:632-37, 2013. P.-C. Wei et al., “Long neural genes harbor recurrent DNA break clusters in neural stem/progenitor cells,” Cell, 164:644-55, 2016. B. Schwer et al., “Transcription-associated processes cause DNA double-strand breaks and translocations in neural stem/progenitor cells,” PNAS, 113:2258-63, 2016. M. Opendak, E. Gould, “Adult neurogenesis: A substrate for experience-dependent change,” Trends Cogn Sci, 19:151-61, 2015. B. Pakkenberg et al., “Aging and the human neocortex,” Exp Gerontol, 38:95-99, 2003. M. Bundo et al., “Increased L1 retrotransposition in the neuronal genome in schizophrenia,” Neuron, 81:306-13, 2013. A.R. Muotri et al., “Environmental influence on L1 retrotransposons in the adult hippocampus,” Hippocampus, 19:1002-07, 2009.